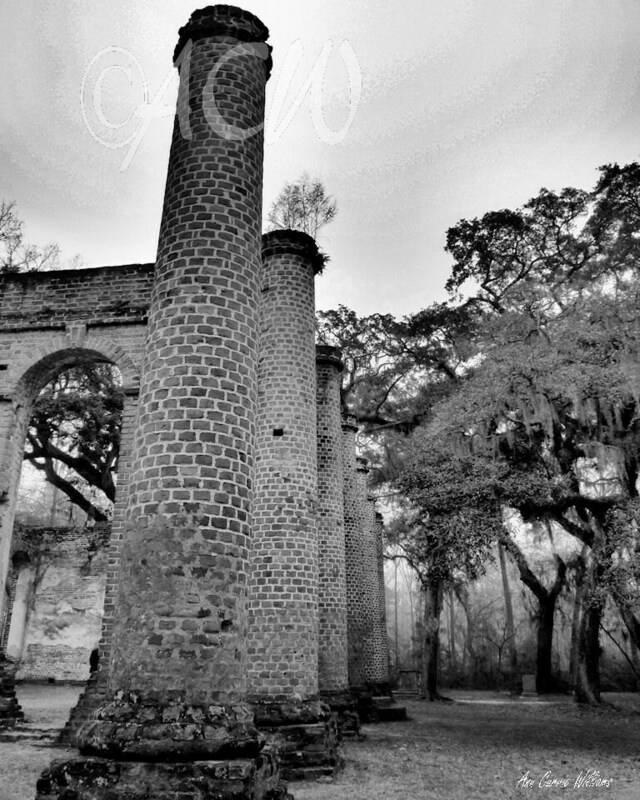 The remnants of the columns of historic Sheldon Church in Yemassee, South Carolina in black and white. The church was burned twice and never rebuilt. An original photograph.